We all want to be happy. To live fulfilled. To have a good life . . . Actually, to have the BEST life! We construct our plans and make our choices. We chase the thing or person or dream we believe will help us reach our goal of living fulfilled. Yet so often we find ourselves lacking and desiring more. How can we experience the life we so deeply desire? God has, and always will have, a plan for your life. God’s plans for you are beyond what you could ask or imagine. He is not out to harm you or keep you from the best life. God desires to prosper you and give you hope (Jeremiah 29:11). 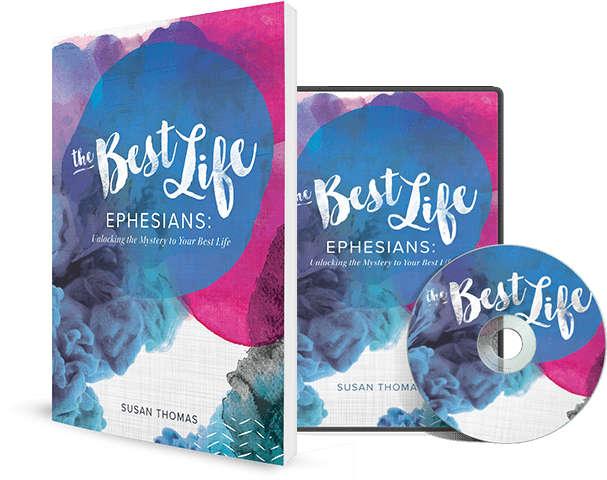 In the book of Ephesians, God continues to reveal His wonderful plan through the pen of His chosen man, Paul. Every word of every sentence offers more understanding on how to live this life we have been given. With every page we turn, we have the opportunity to encounter our Creator who leads us toward the very Best Life!